The Biology Department Faculty maintain active research labs, collaborating with Puget Sound undergraduate research students, as well as scholars across the country and around the world. Below are some of the most recent publications from our faculty. To learn more about an individual faculty member's lab, or to see complete lists of publications, please explore our faculty research pages. Human disturbance impacts the integrity of sacred church forests, Ethiopia. The presence of humans can profoundly change landscapes. In the South Gondar region of the northern highlands in Ethiopia, the last remaining forests are small fragments of 5 ha that surround churches. These forests are protected by the Ethiopian Orthodox Tewahido church, and are integral to their livelihoods and cultural heritage. In this paper we examined the influence of human presence on forest integrity and found that human disturbance negatively affected forest diversity and regeneration potential. Forest management strategies focusing on reducing trail systems and clearings within forests and conserving large trees as seed sources could benefit both the forest and church communities. A nomadic vine in the light-limited understory showed a response to nutrient addition that suggests nutrient limitation. Thus, limitation by multiple factors seems to be the rule rather than the exception in many plant groups. Woods, C. L., S. J. DeWalt, C. L. Cardelús, K. E. Harms, J. B. Yavitt, and S. J. Wright. (2018). 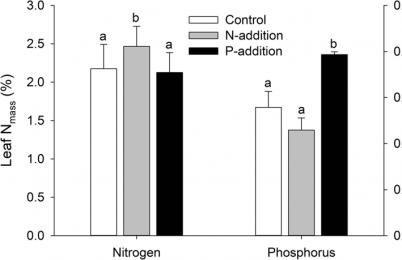 Fertilization influences the nutrient acquisition strategy of a hemiepiphytic aroid in a lowland tropical forest understory. Plant and Soil. 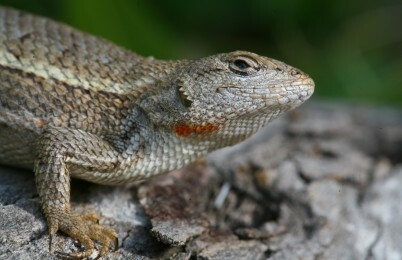 Experimental removal reveals only weak interspecific competition between two coexisting lizards. Female striped plateau lizards express ornaments that may advertise the quality of the female and her future offspring to potential mates. In this paper, a senior thesis student and I asked whether males pay attention to this ornament and alter their behavior accordingly. By placing two males together with an ornamented female, we found that males perform more male-male display behaviors more quickly when in the presence of large-ornamented female. We discuss these results in the context of sexual selection on female traits and male mate choice. Assessing an effective undergraduate module teaching applied bioinformatics to biology students. In this paper I present a lab exercise I developed and tested with my students in here at the University of Puget Sound. I show results from assessing in what ways the exercise furthered student learning in bioinformatics and discuss the overall state of bioinformatics instruction in undergraduate Biology education. Do small classes in higher education reduce performance gaps in STEM? Does class size matter? 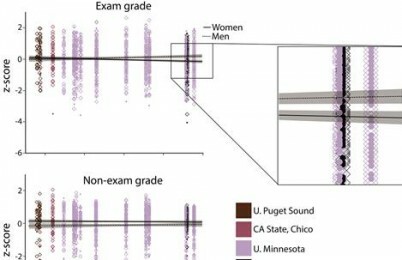 Puget Sound was part of a multi-institution study to determine the effect of class size on performance in Introductory Biology class rooms. We found that as class sizes decreases, so does the gender gap in performance on high stakes exams. We also found that women tend to perform better than men on non-exam assignments, regardless of class size. These findings have important implications for equitable pedagogy and caps on classroom sizes. Can dogs use vocal intonation as a social referencing cue in an object choice task? 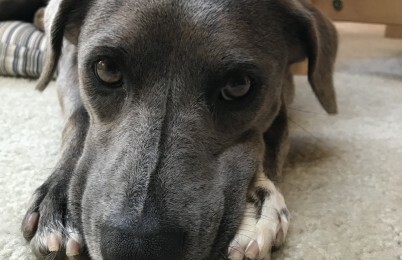 It seems obvious to dog owners that dogs understand what tone of voice means. But what about when tone of voice is the only piece of information that a dog gets – no facial expression, no gestures, no words??? What researchers at the University of Puget Sound found may surprise you! Can dogs use vocal intonation as a social referencing cue in an object choice task? Animal Cognition. 2018 Mar;21(2):253-265. Elementary Student Outreach Activity Demonstrating the Use of ‘Phage Therapy Heroes’ to Combat Bacterial Infections. 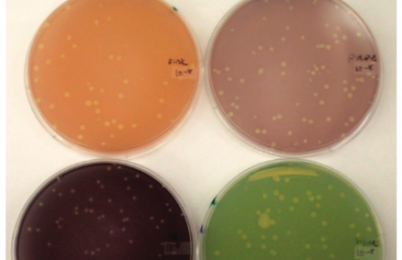 Developing a series of colorful and engaging elementary school exercises to promote the idea that some viruses can fight disease, as well appreciate the microbial world. Primary ecological succession in vascular epiphytes: the species accumulation model. 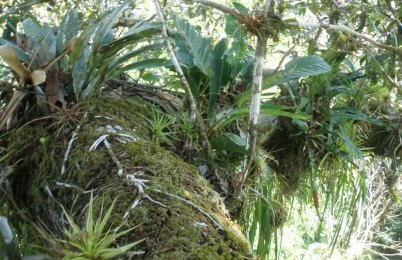 As trees increase in size, they create microhabitats that enable more and more epiphyte species to accumulate in the tree crown. This paper examines epiphyte succession at two scales: the inner crown whereby it follows replacement models and the entire tree crown whereby it follows a species accumulation model. Woods, C. L. (2017) Primary ecological succession in vascular epiphytes: the species accumulation model. Biotropica 49:452-460. 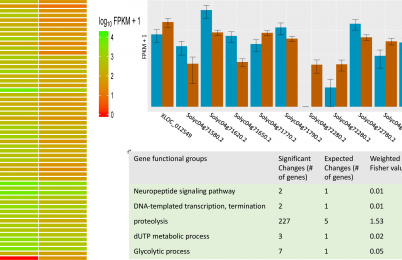 Natural variation in stress response gene activity in the allopolyploid Arabidopsis suecica. In this paper we tested the hypothesis that allopolyploidization (the hybridization of two different species concurrent with genome duplication) not only is a pathway to instant speciation, but, possibly due to the genomic shock during the initial polyploid formation, might create diversity early on in the evolution of the new species. We identify a large number of stress-response related genes, including genes responding to drought stress, that are differentially expressed between sister populations of the same cross. We conclude that allopolyploidy might allow these sister populations to functionally diverge from each other – for example in dry versus wet conditions - and might provide a mechanism for niche specialization as a first step towards speciation. Shadow conservation and the persistence of church forests in Northern Ethiopia. 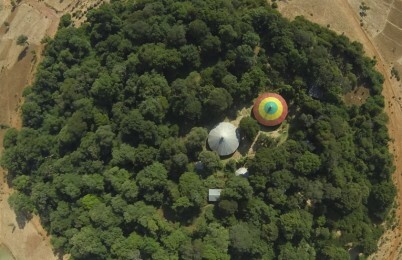 In the south Gondar region of northern Ethiopia the remaining forests are protected because they surround churches and are an integral component of the Ethiopian Orthodox Tewahido church. We found that these forests have persisted on the landscape and increased in area over the past 50 years. However, forests have a high degree of human presence and some were increasing due to the planting of exotic Eucalyptus, which could compromise their continued persistence on the landscape. Cardelús, C. L., P. Scull, A. Wassie Eshete, C.L. Woods, P. Klepeis E. Kent and I. Orlowska. 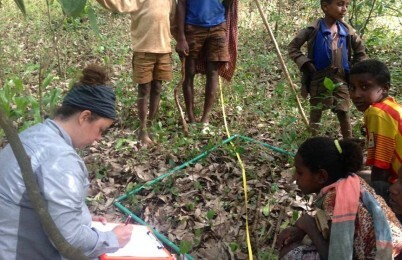 (2017) Shadow conservation and the persistence of church forests in Northern Ethiopia. Biotropica 49:726-733. The metabolic cost of carrying a sexually selected trait in the male fiddler crab Uca pugilator. 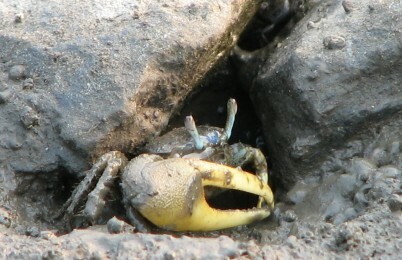 The extremely large claw possessed by male fiddler crabs helps make them more attractive to females, thereby enhancing their reproductive success. But surely this massive claw – sometimes reaching up to 50% of the total body mass of the animal — costs a considerable amount of metabolic energy to carry around (imagine a 150 lb human carrying a 75 lb backpack!). Turns out, researchers at the University of Puget Sound found that this is not the case. Tullis, A. and Straube, C.H.T. * The metabolic cost of carrying a sexually selected trait in the male fiddler crab Uca pugilator. Journal of Experimental Biology. 220: 3641-3648. Complete Genome Sequence of the Predatory Bacterium Ensifer adhaerens Casida A. The first published genome of Ensifer, a predator of Gram positive bacteria. Though related to beneficial alpha proteobacteria, Ensifer has a number of interesting properties, including predation, synthesis of exopolysaccharide, and "tracking motility. Williams, L.E., Baltrus, D.A., O’Donnell, S.D., Skelly, T.J., and M.O. Martin (2017). 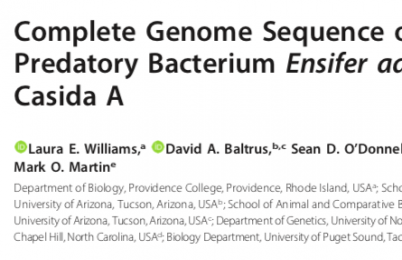 “Complete Genome Sequence of the Predatory Bacterium Ensifer adhaerens Casida A.” Genome Announc. 5: e01344-17. Stone walls and sacred forest conservation in Ethiopia. The church community has built walls around some of their sacred forests in northern Ethiopia. Walls benefited the seedlings of many tree species but some trees will require facilitated regeneration. Woods, C. L., C. L. Cardelús, P. S. Scull, A. Wassie, M. Baez*, and P. Klepeis. (2017) Stone walls and sacred forest conservation in Ethiopia. Biodiversity and Conservation 26:209-221.